It’s been fourteen years since President George W. Bush announced what would eventually be named Orion, the spacecraft that will take humans beyond low Earth orbit since the Apollo missions. Fourteen years of stops and starts, changes and delays. Now, at long last, the spacecraft that will take humans beyond low Earth orbit for the first time since the Apollo missions has one of its most critical pieces in place. 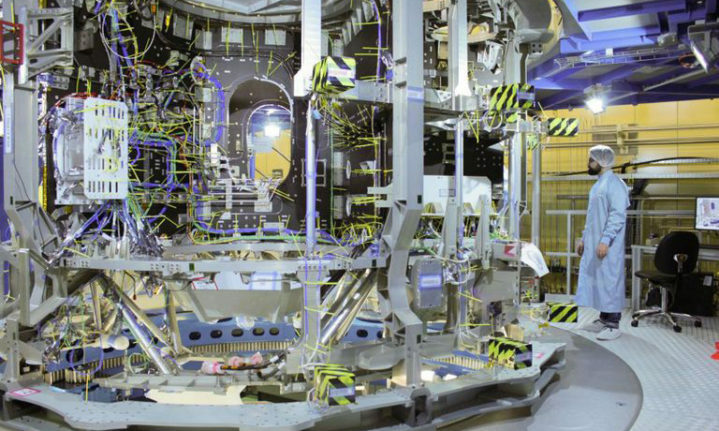 Airbus delivered the European Service Module (ESM), a component of NASA’s Orion craft. The ESM, which fits underneath the crew module, will provide propulsion, power, and thermal control. It will also supply astronauts with water and oxygen on extended missions. Left unpressurized, the ESM will be able to hold additional payloads. More than 20,000 individual parts make up the ESM. These include electrical equipment, solar panels, fuel tanks, and kilometers worth of cables and tubing. The module is a cylinder measuring about 13 feet in height and diameter, and can unfurl an enormous four-wing, 62-foot solar array that generates enough energy to power two midsize houses. Its 8.6 tons of fuel will be used to power a main engine and 32 smaller thrusters. The ESM will power Orion’s vast ambitions, including the creation of lunar-based infrastructure that will one day be used to guide humans on the way to Mars. The spacecraft’s first mission is planned for 2020, when an unmanned mission known as Exploration Mission-1 will travel beyond the moon to test the technology. If all goes according to plan, manned missions will start in 2022 with Exploration Mission-2.